Informational meeting on becoming a volunteer / re-enactor at the Shoal Creek Living History Museum. Experienced re-enactors will discuss all aspects of becoming a 19th century character. Period correct clothing and weapons will be available for examination. 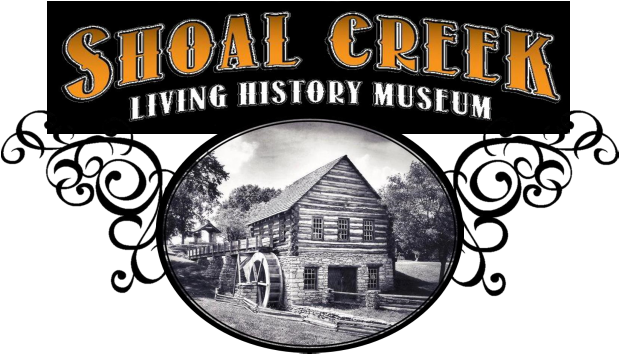 Come out and enjoy some time with great people and tour our wonderful town of Shoal Creek, Missouri. Elementary school age and younger. Easter egg hunt (bring your own basket), crafts, field games, and take pictures with the Easter Bunny. Family Fun event and admission is FREE! The Shoal Creek re-enactors bring the village to life with Gunfighters, Outlaws, Civil War Soldiers, and Mountain Men roaming the streets. Enjoy family fun activities and historical demonstrations of life in Missouri during the 19th century. Skits and gunfights throughout the day. Shop the Mercantile and visit the news paper office located in the Crossroads Inn. Financial assistance for this project has been provided by The Neighborhood, Tourism, Development Fund. The Wilderness Run is a challenging cross-country run sanctioned by MARA. Join one of Kansas City's few non-paved races. Participants will choose a 5 mile or 2 mile run through fields, wooded paths and around the Shoal Creek Living History Museum. Finishing with a hot cup of homemade soup for all! Take a break from the present and experience a 19th century Christmas. Join us for a walking tour through our holiday decorated homes and log cabins of the 1800’s while re-enactors bring the village to life. Visit St. Nicholas in the Thornton Mansion in his resplendent green velvet robes, make your Christmas purchases at the Mercantile and post your St. Nicholas letter. Experience a Civil War encampment, warm up by the “potbellied” stove in the school, find peace in the serene setting of an 1884 Church, see how 1880’s Swedish immigrants celebrated Santa Lucia Day and watch how lace was made in the Arnold Home.